Dr. Ann L. Hardman, the wife of Dr. Norman E. Hardman, is the Apostle of both Faith Worship Center International, located in Columbus , Georgia and River of Life International located in Asheville , North Carolina . As a leader of leaders, she mentors more than twenty pastors throughout the nations, oversees several thousands of people in her own congregations, and is a loving mother who is deeply devoted to her four children and one grandchild. 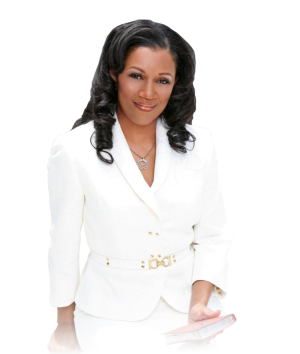 Dr. Hardman is the CEO and founder of Ann Hardman Ministries, Inc., a non-profit organization. Through this organization, she has authored seven books, published a magazine, and recorded a devotional CD. Due to her vast knowledge of spiritual principles and the practical application of them, Dr. Hardman is highly sought after by both secular and Christian organizations to train and motivate their congregations and employees. Dr. Hardman is the founder of The Impact Center, a multi-million dollar project which opened its doors April, 2007. The Impact Center is a 150,000 square foot community center, which upon completion will house basketball courts, a 2,500 seat multi-media auditorium, training facilities for both businessmen and the underprivileged, and a recreation and game room for the youth. The purpose of the Impact Center is to provide a wholesome, positive influence to our community through recreational activities as well as multiple life skill training programs. AHM LIVE - STREAM Live Stream. River of Life Church | Copyright 2016 All rights Reserved.